While attempting to discover when The Watchmaker’s Apprentice would be available on general release, I was approached by DAM Production’s / Bulldog Distribution’s marketing partner, Organic Marketing, and offered the chance to interview Roger on one of his increasingly rare trips to London. Unfortunately, I was unable to see him in person, but he did agree to answer a few questions relating to the release of the documentary. One of the things that I seem to get asked more than anything else is to explain all the “trades” involved in making a watch. I usually point them to George’s Watchmaking, but is there a definitive list? And which two are you missing? I believe the definitive list of watchmaking trades was originally published in Rees’s Cyclopædia* around 1817/18. Of this, the two trades which we do not practise are Engraving and Balance/Main Spring Making. What’s your favourite memory of George / working with George? In fact it was simply the joy of watching him work! When I joined him, George was already 72 years old and he had large hands – yet his dexterity with small hand tools and tiny watch parts was a wonder to behold. Watching him work at the bench, I always remember the fluidity of his movement. Just as you see with a ballerina – he exuded mastery of his skill. My other fond memory, outside working at the Riversdale studio, was his down-to-earth attitude – we often used to go to the pub for fish-and-chips and a pint. His enthusiasm for life (and cars) and determination to succeed were inspiring. Your YouTube videos were very well received. Are you planning any more? Yes, we are launching a new video on Case-making soon on our YouTube channel. The WMA touches on George’s legacy – the Trust,** the papers and drawings he left to you, etc. Who is the Trust currently supporting, and what are its plans for the future? The imperative of the George Daniel’s Trust is education. 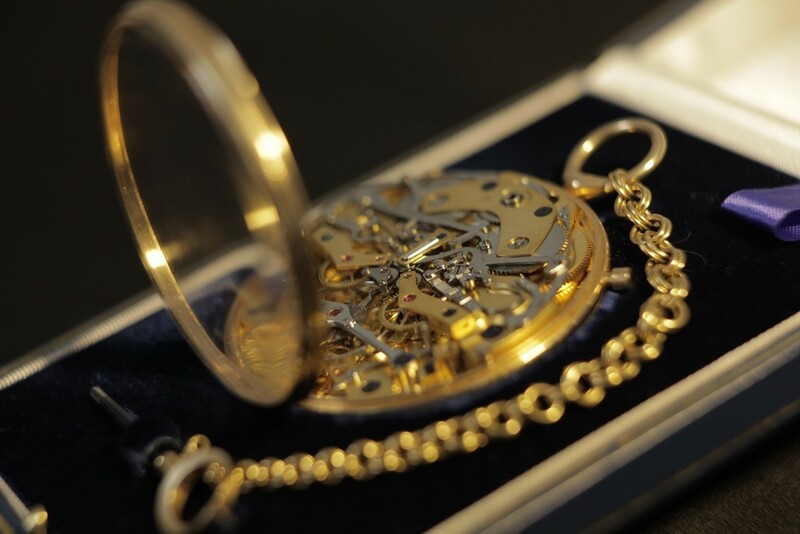 The trust fund was set up to encourage and financially assist apprentices and students, with grants and bursaries for training in all aspects of horology, engineering, medicine, or building construction. The relationship between the two of you was obviously very special. Is there anyone currently working in the UK with whom you would like to work / or you would encourage in the same way that George encouraged you? 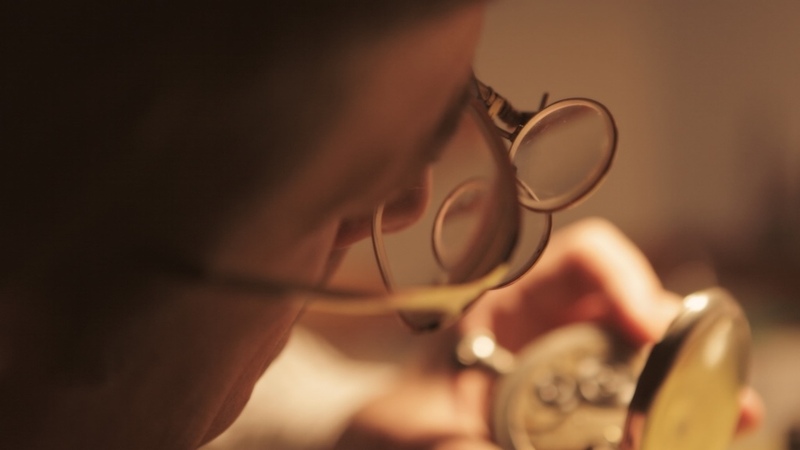 What we do is so specialised that watchmakers tend to find us, rather than the other way round, so the people I want to work with are already working with me. I am very fortunate to have such a dedicated team of craftsmen and hopefully some of them will go on to establish their own atelier. I note that your order book is pretty full! Is (further) expansion possible? The whole ethos of the Daniels Method and my own rather uncompromising approach significantly limits the number of watches we make. 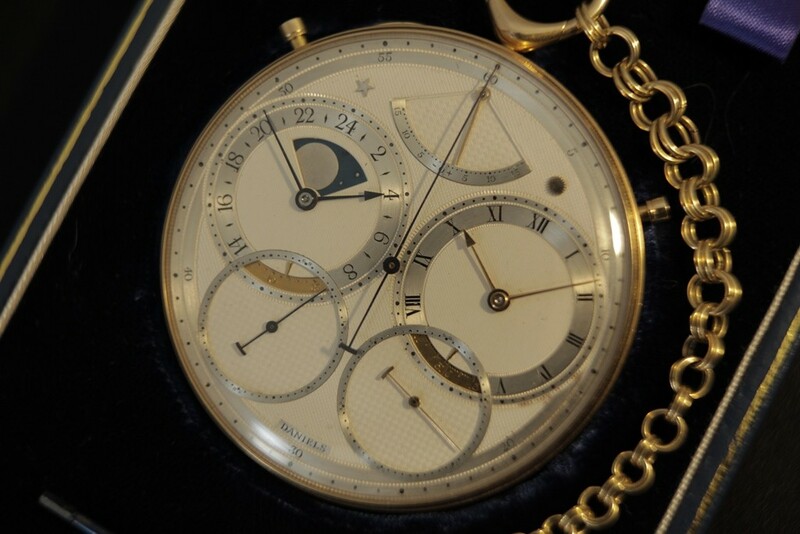 It also means that expansion is only possible by adding watchmakers, rather than machines! As such I am very happy with where we are and any expansion will only ever be measured against remaining uncompromising in our watchmaking approach. My thanks go to Roger for answering these questions and for Emily Lodderhose at Organic Marketing. The Watchmakers Apprentice is available for digital download at iTunes, Amazon and other stores.